have been invited to record a BBC radio session for the John Peel show and are in the studio today. 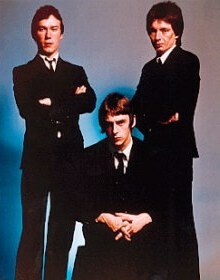 The Jam are recording versions of songs that will be on their forthcoming debut album to be released next month. The four tracks are "In The City," "Art School," "I've Changed My Address," and a new song that's not on their album called "This Is The Modern World." "You can't play rock and roll with a beer gut." play Palais des..., Paris. France. The Damned join the current British exodus (Ultravox! and The Stranglers) to the continent with a short French tour today. 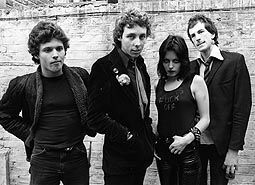 THE ADVERTS are also in Maida Vales recording studio for a Peel session. They record versions of their recent Stiff single "One Chord Wonders" and "Quickstep," as well as new songs they've never recorded before called "Gary Gilmore's Eyes," "Bored Teenagers" and "New Boys." RADIATORS FROM SPACE from Dublin, Eire officilly release their debut 45 this week on London independent label Chiswick Record label. It's decribed as "a lOOmph thrash" called "Television Screen," b/w "Love Detective." 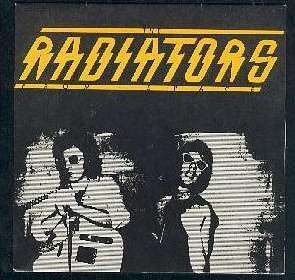 The Radiators are Steven Rapid on vocals, Philip Chevron and Peter Holidai on guitar, Mark Megaray on bass and James Crash on drums. This single marks Chiswick's tenth release as a new independent label and it's first of the new "punk" bands. Go into Wessex Studios, London with Chris Thomas to lay down more tracks, minus Sid of course who's busy laying down in a hospital bed.